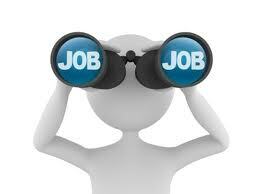 Find tutor career job description sample (ex. 25297), position duties, work roles and responsibilities example. For related employment contract sample click here. 1) Travel to students homes, libraries, or schools to conduct tutoring sessions. 2) Schedule tutoring appointments with students or their parents. 3) Research or recommend textbooks, software, equipment, or other learning materials to complement tutoring. 4) Prepare facilitate tutoring workshops, collaborative projects, or academic support sessions for small groups of students. 5) Participate in training development sessions to improve tutoring practices or learn new tutoring techniques. 6) Organize tutoring environment to promote productivity learning. 7) Monitor student performance or assist students in academic environments, like classrooms, laboratories, or computing centers. 8) Review class material with students by discussing text, working solutions to problems, or reviewing worksheets or other assignments. 9) Provide feedback to students using positive reinforcement techniques to encourage, motivate, or build confidence in students. 10) Prepare lesson plans or learning modules for tutoring sessions according to students needs goals. 11) Maintain records of students assessment results, progress, feedback, or school performance, ensuring confidentiality of all records. 12) Identify, develop, or implement intervention strategies, tutoring plans, or individualized education plans IEPs for students. 13) Develop teaching or training materials, like handouts, study materials, or quizzes. 14) Communicate students progress to students, parents or teachers in written progress reports, in person, by phone, or by email. 15) Collaborate with students, parents, teachers, school administrators, or counselors to define student needs, develop tutoring plans, or assess student progress. 16) Assess students progress throughout tutoring sessions. 17) Administer, proctor, or score academic or diagnostic assessments. 18) Teach students study skills, note-taking skills, and test-taking strategies. 19) Provide private instruction to individual or small groups of students to improve academic performance, improve occupational skills, or prepare for academic or occupational tests. * Other work duties may be described based on the business/industry needs from - tutor - position.